Clarity. Expertise. Experience. Convenience. Care. Insight. In 1908, Dr. Walter C. Hill and Dr. George F. Thomas united to further the use of the x-ray as a way of supporting their colleagues in the practice of medicine. They called their organization of radiologists Drs. Hill & Thomas Co. Since then, Drs. Hill & Thomas Co. has grown to become one of Northeastern Ohio's largest and most respected independently owned radiology groups. We've grown by mastering and advancing the latest technologies and by attending to the needs of the individuals and institutions we serve. Today, Drs. Hill & Thomas Co. is staffed with 15 radiologistsall certified by the American Board of Radiology and with various sub-specialties. It is with this dedicated group that we provide unsurpassed patient care for many area hospitals and outpatient imaging centers. 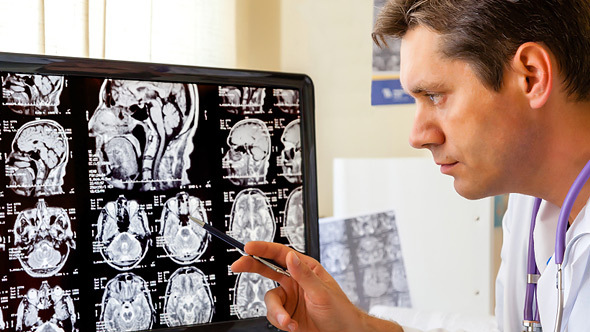 In addition, through our state-of-the-art teleradiology technology, we offer professional services catered to the needs of each client. How long will a scan typically take?